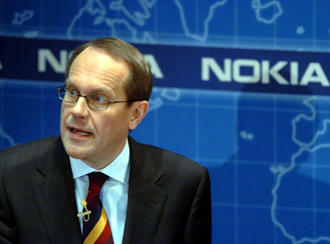 Search for Nokia’s new Chairman begins 2012, Jorma Ollila confirms step down plans. Announced last September, Reuters confirms that Nokia’s Chairman, Jorma Ollila (Nok CEO before OPK, credited with turning Nokia into the World’s largest handset maker apparently), is planning on stepping down. Nokia will be looking for his replacement in 2012. At the time, “analysts” believed that Ollila’s presence would make it difficult for Elop to execute his plans, being an “outsider”. Well, he seems to be unleashing one thing after another just fine, you know the whole WP thing. Elop said frank “No” when asked whether the MeeGo device promised for this year is a tablet. No ambiquity there, it is not a tablet. Not a surprise of course, but a very clear answer.